Now the legs are sorted, I have shifted back to how to weaponize the arms. 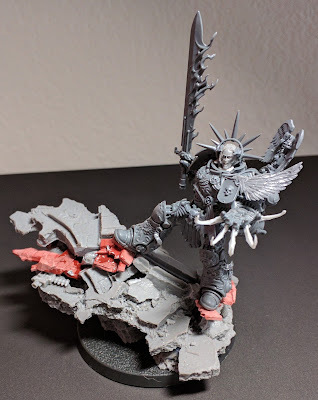 I wanted something that would attach to the Dreadknight vambraces, but also be interchangeable across different weapon types. So this is what I ended up constructing. 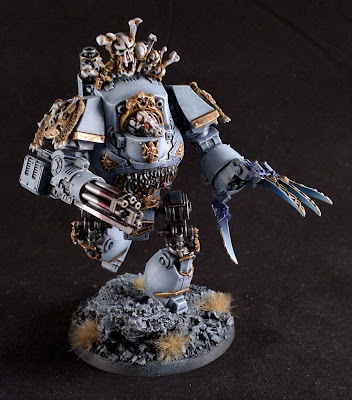 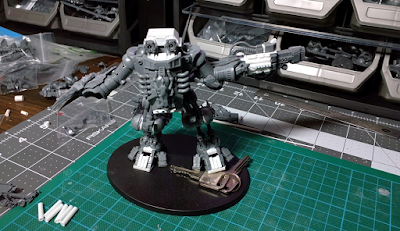 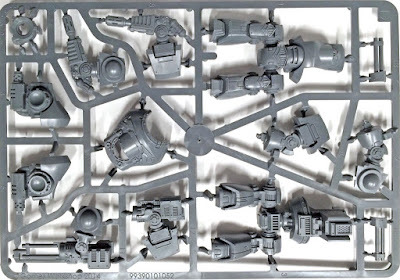 You can probably recognize that I have utilized the Dreadknight Gatling Silencer ﻿weapon, a few bits and pieces of plasticard, Toe pads left over from the Sentinel feet, and the groin armor from the Dreadknight. Why does it all look like this? 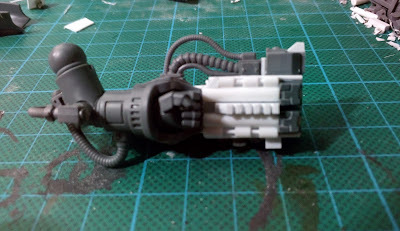 Wouldn't it have look better if I had repositioned the extension to sit over the vambrace, and not tacked onto the front? 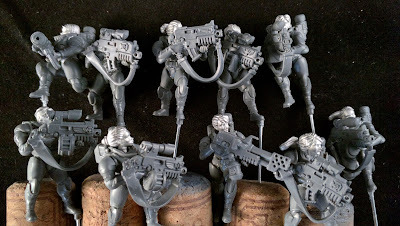 Well, let's put it down to artistic license. The size of the overall Dreadnought, thus far was far larger than your usual Dreadnought, and a little bigger than the Dreadknight, So I came to the conclusion that the weapon should look the business as well. That and I was watching same Gundam anime, in the background, and 'et voila'. Assault Cannon. 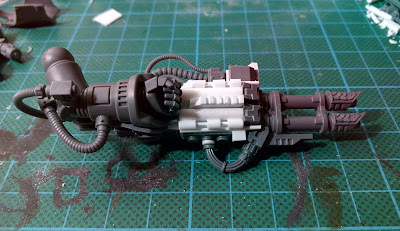 I am not happy with the scale of the barrels on this weapon, so I am going to convert a new version. 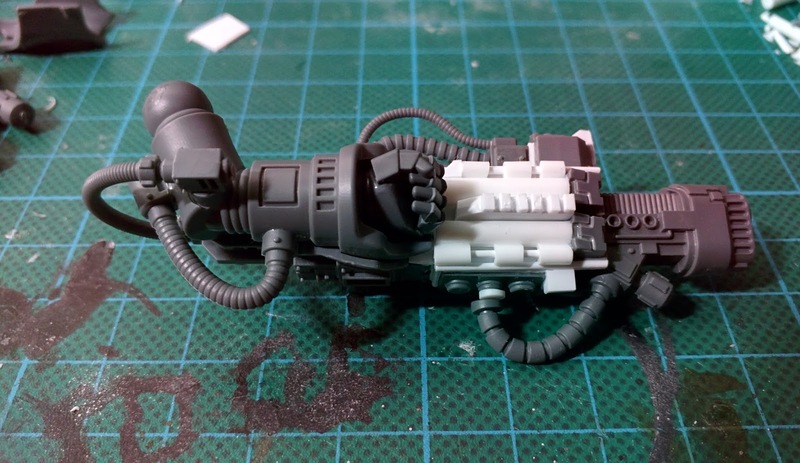 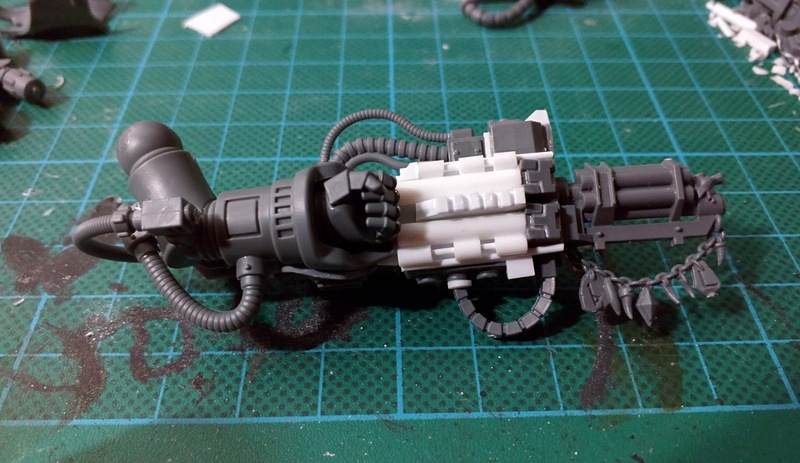 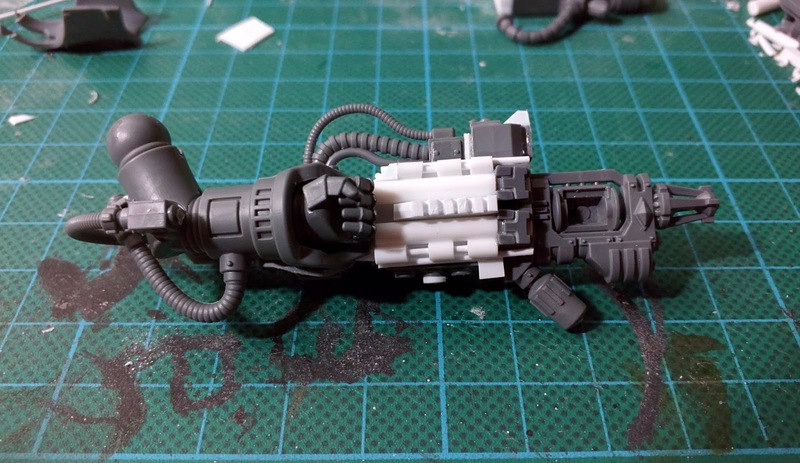 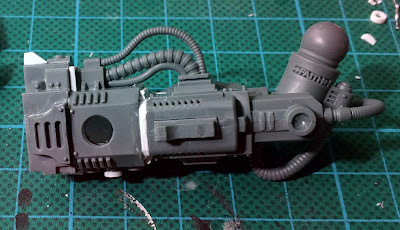 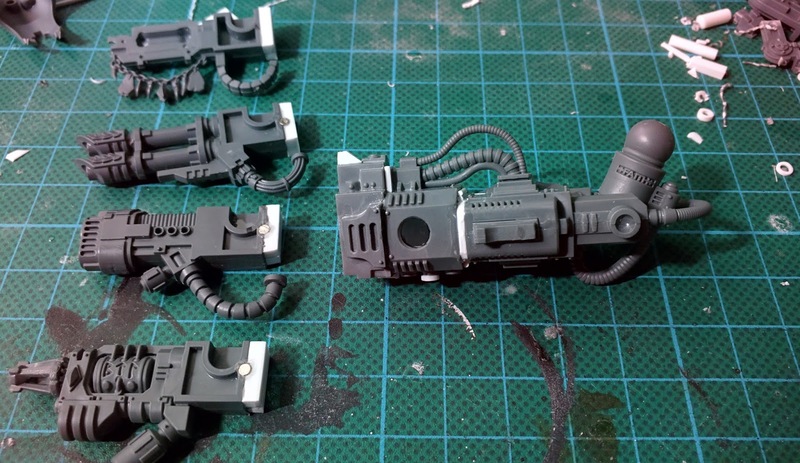 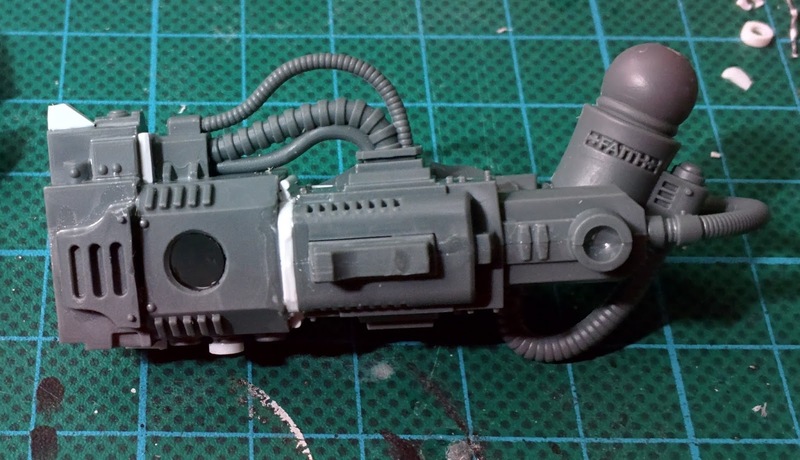 The reverse view, of how I magnetized the weapons, using the hole in the gatling silencer body. 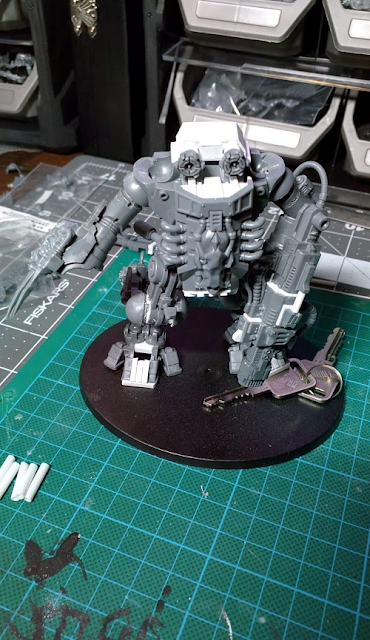 When the arm is stabilized further with the shoulder pistons, from the original Dreadknight kit, it will look a lot more dynamic.